Katie Schickel graduated from Georgetown University with a degree in English. She lives in Massachusetts. Housewitch is her first novel. Designing and developing this site for Katie was a complete pleasure. When Katie contact us, her first novel was several months from hitting shelves and didn’t even have a book cover yet. Her website at the time was developed on her own and although it was a WordPress blog as effective as she would have hoped. Katie requested a simple design and some lessons on how to better utilize WordPress. 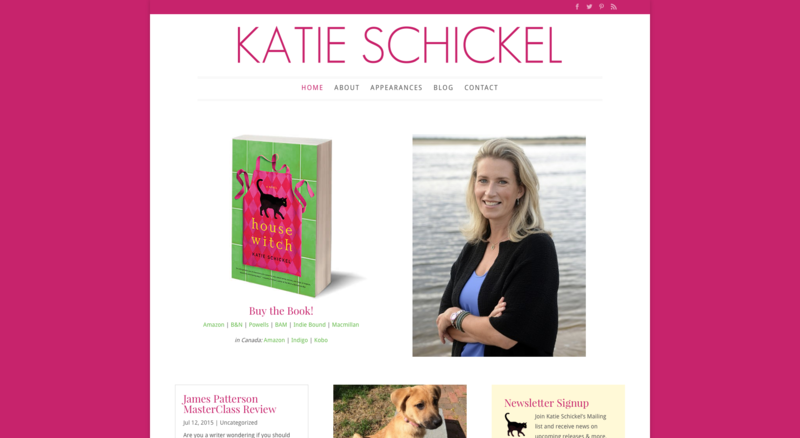 With a fresh design, and some WordPress coaching and consultation Katie was off to the races. Scott and Shannon were fantastic to work with! They really took the time to understand my vision for my author website and then execute on it with their special combination of sophisticated aesthetics and technical expertise. The end result is better than I imagined. A true “whole is greater than the sum of its parts” experience. I can’t recommend them enough!